We are witnessing a seduction scene in progress. To our left, a 40-something blonde from Berlin? Copenhagen? St Petersburg? To our right, a 30-something Latino, unlit cigarette in hand. The stare-look-away-stare-again game commences between the two, seated with two empty chaise lounges between them. Shahen and I are seated just behind this will-it-happen film unspooling in real time. Will they connect? With a beer in our hands, our sight flits from this scenario to the larger one beyond, centuries old. The Sao Joao (Saint George) Moorish Castle which has crowned Alfama hill since the 10th century is now surrounded by earthen tiled houses nestled amidst green trees on the slopes. 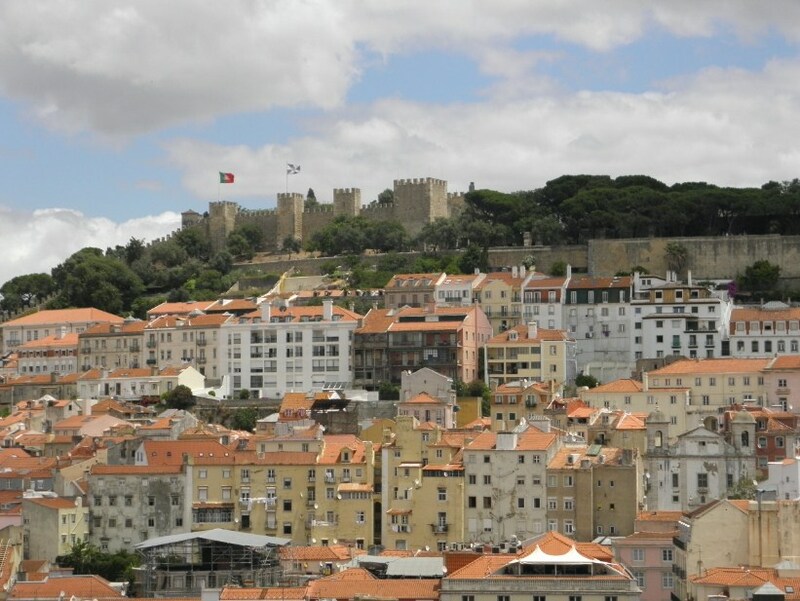 Just like Rome, Lisbon’s topography wanders over seven hills and valleys. Whereas Rome’s rich architectures sit concentrated in a smaller space, Lisbon is blessed with the advantage of vast open areas on both sides of the Tegus river. Whereas Rome’s population is densely evident at 12 million, all of Lisbon is inhabited by only three million people. Question. 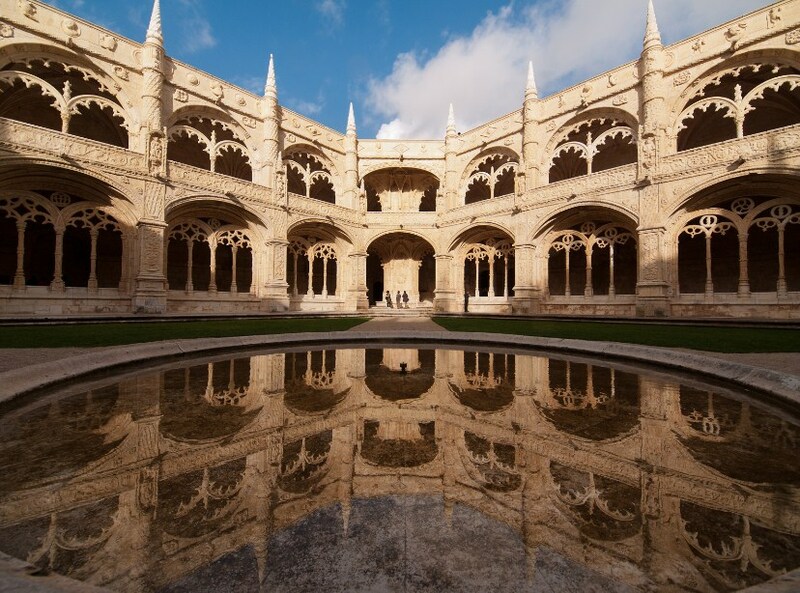 Is Lisbon Europe’s best kept secret? Indeed, its charms will be evident to those who have already been to Paris and Rome. Here’s why. Portugal’s been struggling with a decade-long economic crisis but it’s been a mixed blessing. They realise there’s money to be made from tourism. So, almost every one speaks English, all tourist sites are well preserved and sightseeing is not just colourful, it is extremely safe. Absence of international fast food chains means that restaurants with loud signages do not exist. Best of all, more than Berlin or Barcelona, Lisbon’s Barrio Alto quartier rocks the night with bars, restaurants and boutiques open till dawn! Like tarts? Of course you do. The world’s most famous tart was born here, in the Antiga Confeitaria de Belem (commonly known as the Pastéis de Belém). This renowned bakery with the most sought-after custard tarts has been serving them since 1837. What’s the connection between tarts, nuns and Vasco Da Gama? Aaha! The delicious secret is that this pasteis is rumoured to have been first created by none other than nuns (pun intended) who lived in the nearby Mosteiro dos Jeronimos. The world’s most famous navigator Vasco da Gama prayed at this monastery (built in 1497 by King Manuel the First) before setting sail on his path-breaking voyage to India. How come nuns invented custard tarts? You will know the answer as soon as you have popped the first one in your mouth. The main ingredient is the egg yolk, which the nuns had no other use for, having utilised the egg whites to starch their white habits. Blindingly white in colour is the third attraction nearby on the river Tagus (Teje) also in the Belem Quartier of Lisbon. This iconic monument is to Lisbon what the Eiffel is to Paris. 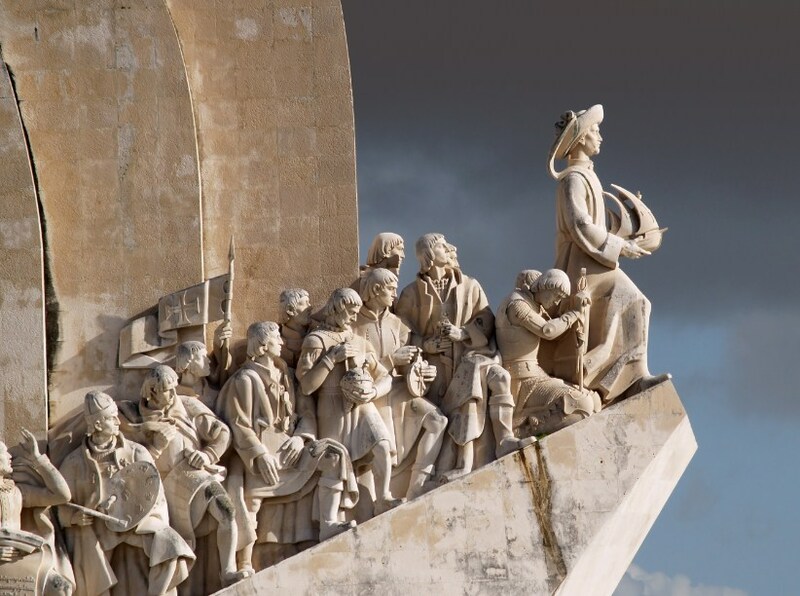 The Padrao dos Descobrimentos is dedicated to the adventurers and explorers who helped establish Portugal as a 14th century superpower. Originally composed of only wood, the now concrete structure with finely carved details rises to an imposing 52 metres with a 360 degree view terrace at the top. 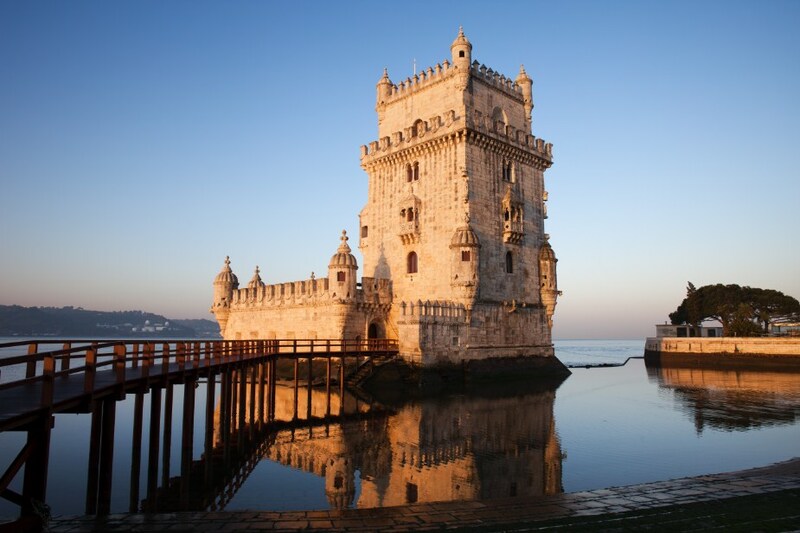 It was from these shores that the Portuguese departed to discover new lands, new places and products. Guided by science and knowledge, they were responsible for the first phenomenon of globalisation. Global gourmets have one important name on their bucket list. 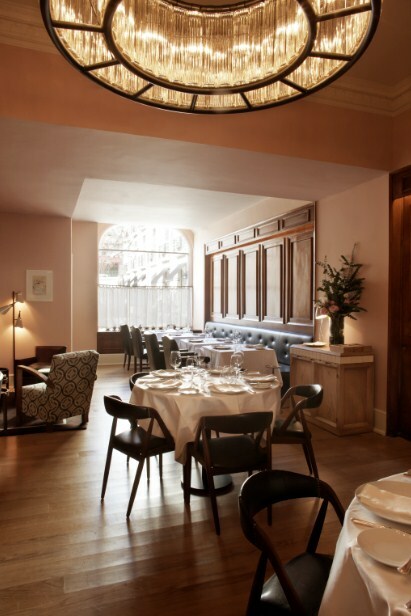 Belcanto, one of the most famous Michelin star restaurants in the country. Jose Avillez, the head chef and owner, waxes eloquent about his city. “Lisbon, the light, the life, the neighbourhoods, the peoples. The history, the river, the land, the sea. Here we live, here we grow. Here we inspire ourselves, here we walk. The cuisine is our fado, our way of expression.” Jose’s culinary expressions are coveted enough for foodies to fly in from New York and London. 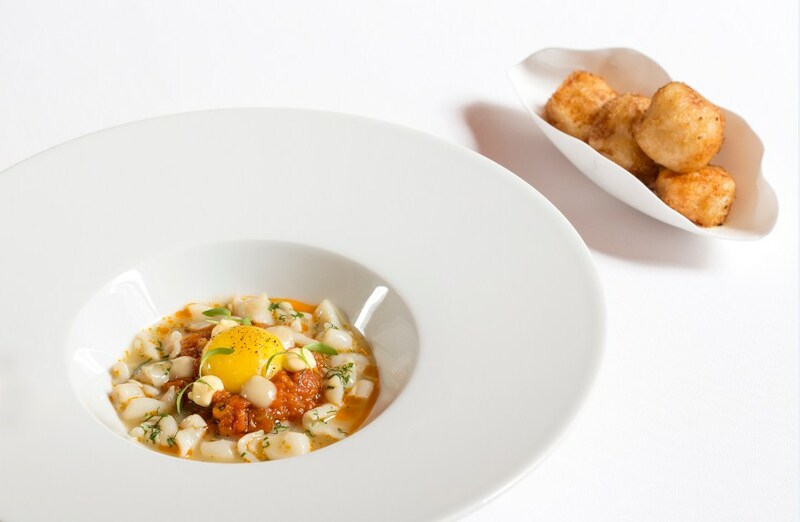 Like in other global Michelin star restaurants, Belcanto offers a sparse menu. There are three degustation menus at 75 euro, 85 euro and 95 euro. We settle on the 75 euro one to be accompanied by the Soalheiro Vinho Verde, a light fruity white wine. It’s a good decision. Two hundred and sixty rooms, the smallest being big enough to cycle in. Balconies that overlook the vast greens of Marquês de Pombal park below and a staggeringly spectacular view of Lisbon’s hills and São Jorge Castle. Crisp cool clean cotton sheets that welcome your body. Showerheads large enough to make you feel you are under a waterfall. Finest amenities of L’Occitane en Provence to caress the skin. Softest of soft towels. Walk-in wardrobes to park your Rimowas and Tumis in. A temperature-controlled indoor swimming pool for some serious lengths to freestyle. Trained physiotherapists to de-kink your jet-lagged muscles. Sauna to steam those wrinkles away. A well-equipped gym complimented by a running track on the rooftop terrace. And a feast for breakfast! The beautifully-appointed Varanda restaurant at the lobby level serves up a veritable smorgasbord at breakfast. Every morning we broke our fasts with the freshest of fruits and juices, Swiss muesli, bacon and eggs, soft cream and hard cheeses, Atlantic salmon, bagels, miso soup, charcuterie, danishes, pancakes, and that delightful portuguese pastry called pasteis de nata ­—custard tarts of crackly crust filled with luscious cream.